Why has it Taken 28 Years? The Peter Tosh Estate has announced that (April 20, 2015) will be the first annual recognition of the date as ‘International Peter Tosh Day‘, a celebration honoring the Grammy Award-winning reggae legend, musician, and human-rights activist. The above sentence was taken from a recent edition of the Jamaica Observer newspaper. 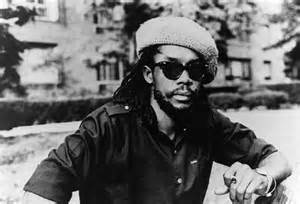 For those who are not familiar with the work of Peter Tosh let me try to reintroduce him. Peter Tosh, OM was a Jamaican reggae musician. Along with Bob Marley and Bunny Wailer, he was one of the core members of the band The Wailers, after which he established himself as a successful solo artist, revolutionary, cultural warrior, human rights activists and a promoter of Rastafarian religion. He was murdered during a home invasion on September 11, 1987. One has to wonder if the sudden push to recognize and celebrate Peter Tosh has anything to do with the fact that he was the first artist to openly advocate legalization of marijuana in the song Legalize It – released almost 40 years ago. Will Peter Touch finally be given what he has deserved for 28 years because of his marijuana advocacy? And because many who contributed to his disrespect now see the potential for financial gains from his legacy? It is with keen interest that I have observed that most of the articles written about this “International Peter Tosh Day” make reference to his work as an advocate of legalization of marijuana, but nothing about the most important areas of his life. Peter Tosh is undoubtedly one of the three most important reggae artists of all time (the others being Bob Marley and Jimmy Cliff). He is reggae’s most revolutionary artist in the history of the genre. I have always thought that the lives of Bob Marley and Peter Touch were somewhat parallel. Very similar to that of Martin Luther King and Malcolm X in the civil rights struggles of the United States in the 1960’s. Bob was the Martin and Peter was the Malcolm. Both were advocates and could be described as revolutionaries for the same cause, but with very different approach. However, while one method received “main-street” approval, the other was greeted with fear and uncertainty. As a result one is highly celebrated, while the other is hardly remembered. It is full time for us to stop waiting for “approval” to celebrate our heroes. The genuine celebration of the life of Peter – like that of life Malcolm is long overdue. This time let’s place his achievements as an artist, revolutionary, cultural warrior, human rights activist and model Rastafarian ahead of his advocacy for legalization of marijuana.